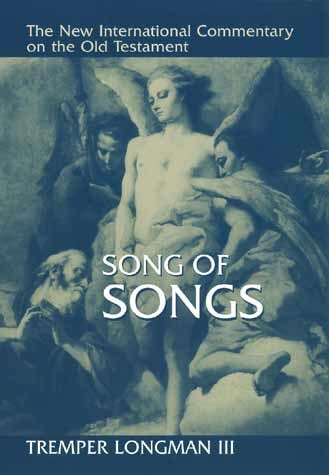 It is somewhat difficult to recommend a “Top 5” list on the Song of Songs because one’s inclusion of commentaries in the list will largely depend on whether one takes an allegorical or non-allegorical approach to the book. The list below is based on my own non-allegorical approach to the book. 1. Tom Gledhill — The Message of the Song of Songs (The Bible Speaks Today, 1994). Tom Gledhill’s commentary on the Song of Songs is accessible to any reader, but the fact that it is accessible does not mean that it is simplistic. In fact, in places it is truly profound and insightful. Gledhill sees the book for what it is - a poetic exploration of human love that points beyond itself to the Creator and Redeemer. Very highly recommended. 2. Lloyd Carr — The Song of Solomon (Tyndale Old Testament Commentaries, 1984). Lloyd Carr’s contribution to the Tyndale series of commentaries is a very helpful work on the Song of Solomon. Like Gledhill, Carr takes a non-allegorical approach to the book, and provides numerous insights. 3. 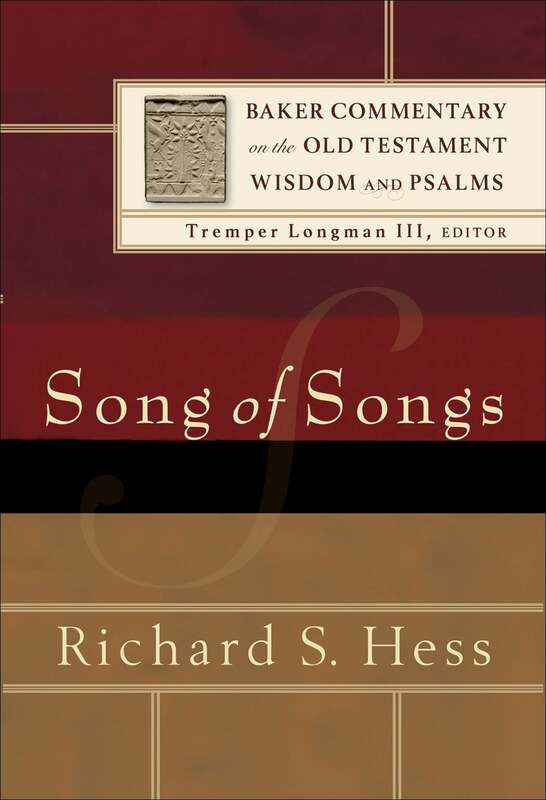 Richard S. Hess — Song of Songs (Baker Commentary on the Old Testament Wisdom and Psalms, 2005). Among the more advanced commentaries written from an evangelical perspective, the work by Richard Hess is probably the most helpful. In addition to careful exegesis, Hess provides insightful reflections on the theology of the book. This is something missing in too many commentaries. Highly recommended. 4. Tremper Longman — Song of Songs (New International Commentary on the Old Testament, 2001). For those seeking a thorough exegetical commentary, Longman’s work in the NICOT series is a good resource. He approaches the book as a poem (or more precisely an anthology of poems) about the male-female relationship, which itself is analogous to the relationship between God and His people. 5. 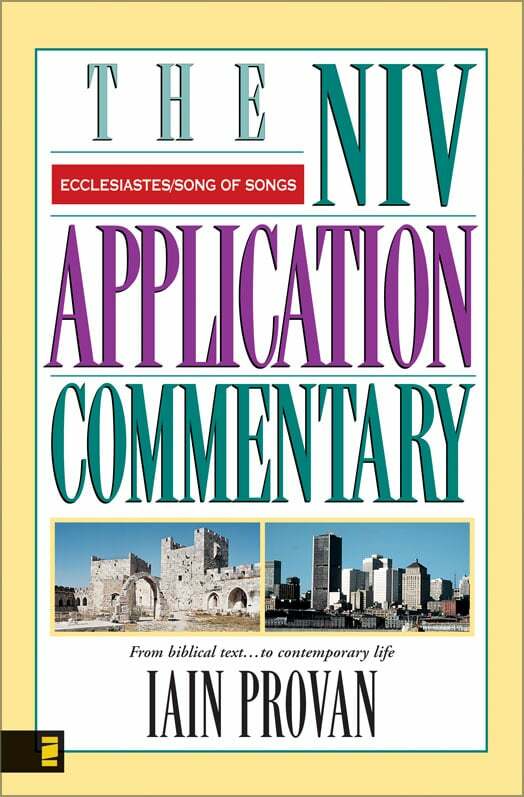 Iain Provan — Ecclesiastes, Song of Songs (NIV Application Commentary, 2001). I have already mentioned this volume in the post on Ecclesiastes. The section of the book on the Song of Songs should prove just as helpful to preachers and others looking for practical application. There are a number of other helpful commentaries on the Song of Songs. Those looking for a good commentary taking an allegorical approach might consider the older works by George Burrowes and James Durham.